Assorted berries look fresh and colourful as a simple decoration on this cake. 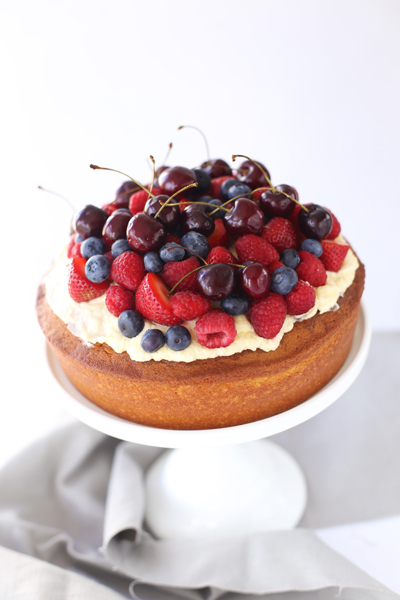 This is a great summer cake as it's light and uses seasonal fruit which will hopefully taste its best at this time of year. Butter cake is a real crowd-pleaser, but if you are catering for people with allergies you could substitute butter with Nuttelex or another dairy-free substitute, or use gluten-free flour. 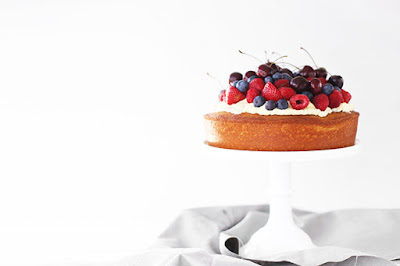 It's quick to put together - you don't have to put too much thought into decorations as the berries as piled on top and secured in place with a layer of icing. What's your favourite type of summer berry?